Monday 26th March is the beginning of World Autism Awareness Week. 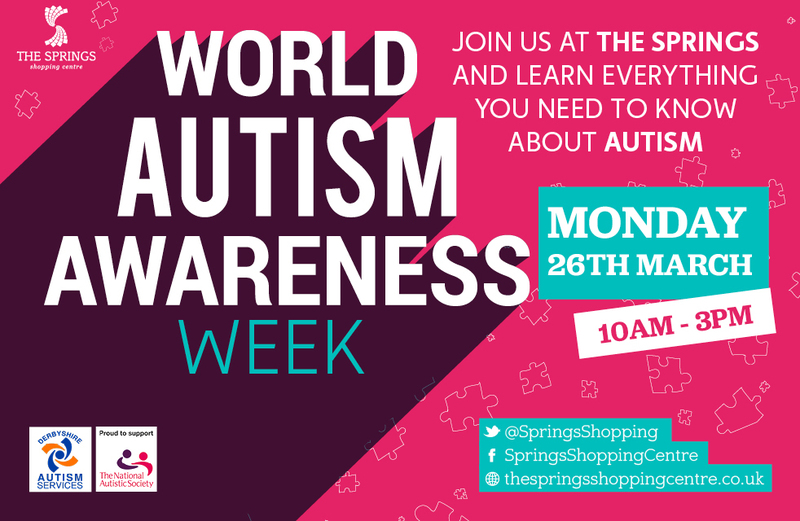 To show our support, The Derbyshire Autism Services will be present in The Springs Shopping Centre between 10.00am – 3.00pm. Do you have a family member or friend who has recently been diagnosed with a disability and you’d like more information? Come to The Springs for a talk with The Derbyshire Autism Services and they’ll provide you with information about the range of services they provide in the community.